Paying for your supermarket shopping at a till can take time, especially if there’s a queue, and for manned tills it’s also an expense for the store, but Tesco might soon solve all those problems, as it’s trialling shops without tills. Instead, you’d use a smartphone app to scan the barcodes of the products you want and then pay for them in-app. 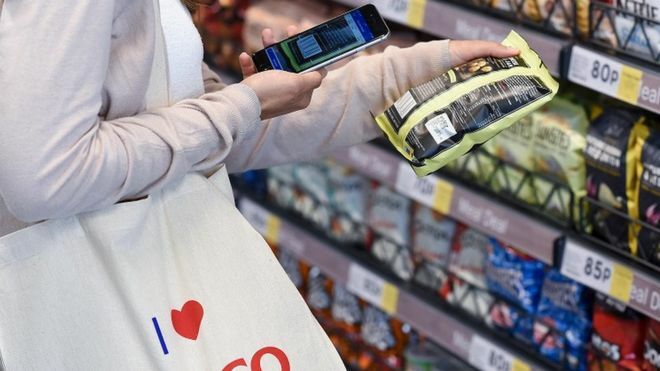 According to the BBC, Tesco is currently trying this out in a store at its headquarters, but for now it’s unsure whether the technology will be viable. That’s because it’s likely to lead to more theft, and Tesco operates on small enough margins that this could be a real issue for it, potentially outweighing any savings it makes by no longer needing checkouts. So it’s unknown if or when the technology will actually be rolled out. But it’s perhaps inevitable that stores head in this direction, and as the BBC notes, Tesco isn’t the only store testing out this kind of thing. The Co-op is also trying an app-based alternative to tills at a store in Manchester, with plans to expand the tests over the summer. And an Amazon shop in Seattle has been using an even more high-tech system for months now, one where you don’t need to scan products or manually pay at all, as cameras will identify the items that you leave the store with and automatically charge you. So we might not see widespread adoption of these systems for a while, but many stores might start offering them sooner or later, especially if big names like Amazon and Tesco lead the way.